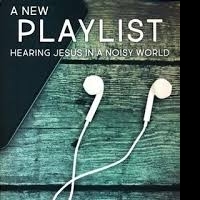 “A New Playlist, Hearing Jesus in a Noisy World” book study by Jacob Armstrong! “A timely resource reminding us to stay connected to God’s playlist and resist being influenced by the cultural noise bombarding us daily.” C. M. Lewis, DS, UMC. Six weekly video and book discussions offered here at church on two different days: on Thursday evenings (9/20, 9/27, 10/18, 10/25, 11/1,11/8) from 7-8m and Sunday afternoons (9/23, 9/30, 10/28, 11/4, 11/11, 11/18) from 12-1pm. Reading the book is optional - cost $11. More information and sign ups in the narthex or contact Ellen Daniels at (480)962-4588 or Dwight.d@cox.net. Go HERE for a short informational video!